Dyslexia, also known developmental reading disorder (DRD), is a learning disability that is language or symbol-based. Dyslexics are visual learners and are usually insightful and very creative. When dyslexic people read, spell, or even count, these symbols are usually very confusing due to the fact that their brain thinks in picture form. Dyslexia will affect a person throughout their life time and its impact may change at different stages of life. Dyslexia is considered a learning disability because it can make it very difficult for a student to succeed in the school setting if receiving typical instruction. In its more extreme forms, it may cause a student to need special education or extra help outside of the classroom. Characteristics of dyslexia, which we will discuss later, can change day-to-day and near instantaneously. The inconsistency of a dyslexic is something to be expected. The struggle of living with dyslexia is all too real for around 15-20% of the world's population. Even though dyslexia can be translated from the Greek as an impairment of words, with research it has been shown to also be a gift. Dyslexia can allow an individual to be very creative and intuitive. Even though the dyslexic brain must work six times as hard as the average brain, when it works with symbols and sequence, it has not held back this group of individuals from succeeding. From Albert Einstein and Thomas Edison to John Lennon and Whoopi Goldberg, dyslexics have changed the way people survive, the way people think, and even the way people have fun. Dyslexia is not something that only causes pain. It opens doors to new ways of perceiving the world and new ways of looking at each other. It has been shown that between 1/3 and 1/2 of dyslexics have learning disabilities in their family, and more than 1/2 have a family member who is left-handed. With technical equipment such as brain scanners, scientists have been able to detect that a cluster of cells found on the surface of the brain of non-dyslexics is actually located below the surface on a dyslexic person. These cells were supposed to have made it to the surface while the brain was developing in the fetus, but did not complete the journey. These are known as ectopic cells. These cells are mainly found on the front, left side of the brain. This area is important for reading and writing. Another area of the brain also affected is the magno-cellular system. This allows us to see moving images. This system is smaller in dyslexics than non-dyslexics, making it more of a struggle to read because it is not as easy for the brain to quickly interpret the different symbols the eyes see. 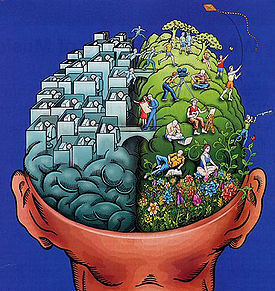 With the use of EEG (electroencephalogram), where small electrodes with wires are attached temporarily to the exterior of a person's head, scientists are able to observe that the right side of the brain is used when someone is beginning to learn the read and the left is used for advanced reading. Yet, it has been examined that dyslexics use variations of the right and left brain. This results in causing the dyslexic brain to work 6 times as hard as the average brain. This may be an explanation to why dyslexic children and adults become mentally drained by reading or practicing language work. Hearing problems can also contribute to dyslexia. If a child experiences frequent colds or throat infections, this can block the ears and cause hearing to be impaired. If this is not recognized at an early age then the brain will have difficulty discerning the links between the sounds it hears. The early learning of sounds and words are very important to a child’s ability to process language and text. While reading or writing; dyslexics may repeat, add, replace, reverse, or even leave out words, letters, and numbers. Signs of dyslexia can vary greatly and there is a long list of possible symptoms. 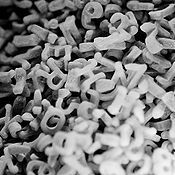 Dyslexia may cause difficulty in determining the meaning of simple sentences, learning to identify written language, and determining what words rhyme with each other. This may also occur in writing and arithmetic abilities. They will generally appear very intelligent but may be unable to read, write, or spell at the expected level. Dyslexics are often considered lazy or apathetic because they seem intelligent but it does not show up in their work. They may appear to not be behind enough to be helped in the school setting. The person most likely has a high IQ but may not test well if the material must be written. Dyslexics are often talented in art, drama, music, sports, mechanics, story-telling, sales, business, designing, building, engineering, etc. Dyslexic people are often found daydreaming which causes them to get lost easier and loose track of time. They may be seen as hyper or someone who had a hard time paying attention. The best way to not only teach them, but to keep there attention, is with the use of visual aids, hands-on experiences, experiments, etc. Vision, reading, and spelling issues may cause a dyslexic to complain of dizziness, headaches, or stomach aches while reading. They may be confused by letters, numbers, words, sequences, or verbal explanations. While reading or writing; they may repeat, add, replace, reverse, or even leave out words, letters, and numbers. They may complain of sensing or seeing movement while reading, writing, or copying words. Dyslexics may seem to have a vision problem, but eye exams will not reveal a problem. They may even have very alert and observant vision, but may also lack depth perception or peripheral vision. They may also read and reread with little understanding. They will also spell words phonetically and if they do spell a word wrong, they will often spell it wrong in many different ways throughout their writing. Have a wide range of hearing; allowing them to hear things either not said or apparent to others. They may be easily distracted by sounds. Dyslexics will often have problems putting their thoughts into words causing them to stutter under pressure, break up phrases while speaking, not finish sentences, and mispronounce longer words. A dyslexics writing and motor skills may also be distorted. They may have trouble with writing or copying down words. *Dyslexics will often have an unusual pencil grip. They may have changing handwriting or it may be all together illegible. They may be clumsy but they can also be quite coordinated. They may be poor at team sports or prone to motion sickness. Dyslexics can also be ambidextrous, often confusing the left and right and over and under. Dyslexics may also experience difficulty with math and time management. They will often have difficulty telling time, managing time, or learning sequences. They may also have trouble showing up to appointments on time. When solving math they may need to use finger counting or other methods. A dyslexic may also be able to find an answer but will not be able to write out the work or explain how they got it. A dyslexic will often be able to count, but will not be able to count objects or count money well. They can accomplish arithmetic but will not understand word problems. Dyslexics usually will not be able to grasp a level of math that involves algebra or more advanced equations. The memory and cognition of a dyslexic will also be different from the average person. A dyslexic person will often have fantastic long-term memory for experiences, locations, and faces. On the other hand, they usually have poor memory for sequences, facts, and information that the person hasn’t undergone. A dyslexic person will mostly think with images and feelings instead of dialogue. Dyslexia may also affect the behavior, health, development, and personality of a person. Dyslexia may cause a person to be very unorganized or even compulsively orderly. Dyslexics will normally be in social spots such as class clown, trouble-maker, or ultra conserved. Have unusually early or late developmental stages such as: crawling, walking, talking, etc. They can be prone to ear infections. They may also be sensitive to certain edibles or chemical products. It may even affect the persons sleep causing either extremely deep sleep of very light sleep. It can also on rare occasions cause bed-wetting beyond the appropriate age. Dyslexia can also cause a high or low tolerance for pain. Dyslexic people are often very compassionate and sensitive towards others. They will often seek justice and can sometimes set perfection as a standard for themselves. Confusion, time pressure, stress, and health issues will greatly increase mistakes and symptoms. Dyslexia cannot only affect someone mental or physically, but also socially and emotionally. Emotional problems usually begin to develop in a dyslexic child when they begin to learn to read. During this time, most classmates will gain more reading skills quicker than the dyslexic child because the child is not being taught using their learning style. All of the symptoms of dyslexia seem to lead to genetics, and have nothing to do with parenting or childhood depression or anxiety. The main frustration of dyslexic children is the feeling of having an inability to meet expectations. Parents and teachers see an intelligent child who is not learning to read and write well. Dyslexic families will often hear from teachers that the child is bright, but just not trying hard enough, when in reality the child is trying harder than most of their other classmates. Not only does the child feel the failure of meeting others expectations, but also their own personal goals. This will especially affect those dyslexics whom create perfectionistic expectations for themselves to cope with this anxiety. Many will grow up thinking it is never okay to make a mistake. Dyslexia, almost by definition, makes a dyslexic person feel these mistakes are out of apathy and stupidity. This is extremely frustrating and makes them feel like they will never be sufficient. Dyslexics can be physically and socially immature when related to their classmates. This can make them less likely to be accepted by others and cause a poor self-image. This social immaturity can cause many social activities to become awkward. They may not be able to read body language. Dyslexia can also affect oral functions, causing them to have some trouble in certain social situations. Dyslexics also have trouble remembering sequences, which may make the child look like a liar if asked to explain a situation. They may also explain a situation different ways each time it is told. This also makes it harder for children to learn from mistakes and may cause people who do not understand the condition to lose trust in the person. The unpredictable characteristics of dyslexia can create many challenges in a child’s life. Everyone has strengths and weaknesses but dyslexics will often be greatly amplified. Also, many of a dyslexic’s strengths and weaknesses will be related. For an example, a dyslexic may be able to complete advanced calculus problems but will not be able to remember their own phone number. A dyslexic may be able to tackle problems far above the talents of their peers and the next moment is unable to finish a task. They may one day be able to read quite easily and the next have trouble spelling their name. This erratic behavior of dyslexia will cause confusion not only to the dyslexic but those in his or her life. Anxiety is described as the most frequent emotional symptom by dyslexic adults. Dyslexics can easily become fearful because of incessant frustration and confusion in school. Many dyslexics may await failure causing new situations to be very stressful. Anxiety will cause the dyslexic to avoid situations that frighten them. This can be foreseen as laziness, when in truth, the child’s behavior is linked more to fear and confusion than idleness. Anger, cause by frustration is also often evident. However, some may hide their anger in school to the point of becoming very docile. Usually when the child gets home they will take their anger out on their family. Mothers are often the target due to the fact that the child has so much trust in the mother. The child feels they can vent their feelings to the mother. As the child reaches teen-hood, they are expected to become independent. Learned dependence will often cause the child to have large internal conflicts. Anger is often used to break away from people on whom they feel so dependent. This often causes confusion to friends and family who are trying to help the child. Because of these reactions, peer tutoring or a young adult may be able to help the individual easier. Self-image is also greatly damaged during early years of school. If a child succeeds in school they will see things more positively, while when a child meets failure and frustration, they see themselves inferior to others and that their effort will make little difference. They will perceive that they have no power over their environment. Researchers have discovered when a typical learner succeeds, they credit their efforts to their success, and when they fail, they will push themselves harder. As dyslexics see themselves succeed, they accredit it to luck, and see failures as a product of their own stupidity. After the age of ten, it is very hard to redevelop a positive self image. Depression is also a frequent complication for those with dyslexia. Many dyslexics are not depressed, but they are more at risk for powerful feelings of grief. Sometimes due to low self-esteem, dyslexics will turn their anger towards themselves due to fear of their surroundings. Depresses children may not become lethargic or outwardly speak of their feelings of sadness. In fact they may try to mask their true emotions by becoming more active or by being disobedient. However, children and adults who are depressed often show the same three distinctions. They tend to have negative thoughts about themselves, the world, and their future. Depressed dyslexics will not only see their current situations as failures, but will anticipate their future as a continuation of the pain they feel. Dyslexia can also create family issues. If there are non-dyslexic children they will often be jealous of all the attention the dyslexic child receives, while the last thing the dyslexic child wants is to keep the attention on his or her self. This will more likely cause bad behavior towards the non dyslexic children from the dyslexic child. If one or both of the parents also have dyslexia they may react in one of two ways. They may deny the dyslexia’s existence or relive their frustration through the child’s experience. This can bring back hurtful memories, which may affect the parenting skills. © Copyright 2008, The International Dyslexia Association (IDA). Fact sheet revised May 2008. Developmental reading disorder Update Date: 10/15/2008 Updated by: Daniel Rauch, MD, FAAP. Director, Pediatric Hospitalist Program, New York University School of Medicine, New York, NY. Review provided by VeriMed Healthcare Network. Also reviewed by David Zieve, MD, MHA, Medical Director, A.D.A.M., Inc. A.D.A.M., Inc. is accredited by URAC, also known as the American Accreditation HealthCare Commission (www.urac.org). Why is Dyslexia a Gift? Davis Dyslexia Association International All materials on this site © 1995-2007 DDAI unless otherwise noted. This page was last modified on 17 March 2018, at 17:38.